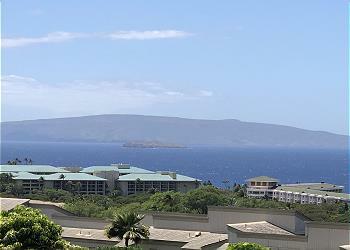 Wailea Ekolu is a beautiful 148-unit condominium development nestled in the heart of Wailea on the Wailea Golf Course and across the street from the Wailea Tennis Club. Like to golf, play tennis, shop, dine or spend the day at the beach? It is the perfect location for everyone! With Mokapu and Ulua beaches just minutes away, your dream beach vacation can become a reality. The Wailea Ekolu complex has 2 luxurious pools, BBQ areas and gorgeously landscaped grounds. This is a two bedroom, two bathroom condo with a relaxing garden view and slight ocean view. This heavily upgraded 2nd floor unit has a full kitchen, vaulted ceilings, TV, AC, and WiFi for your enjoyment when indoors. With 3 lanais this unit is the perfect place to stay while you explore everything Maui has to offer. The Master bedroom has a king bed, its own lanai and ensuite bathroom. The second bedroom has two twin beds, perfect for your family or combine them into a King for another couple to join you! The second bedroom also has its own lanai! With ample space in the living room and dining room area, everyone will be comfortable here. Both bedrooms and the living room have A/C units to keep you cool if you don't want to open the unit up to enjoy the relaxing Hawaiian breeze. Add in the beautifully renovated kitchen and large lanai that has a grill just for your use - and you will never want to leave. The complex also provides two pool areas with gas barbecue and ocean views. Parking is free and open right out your door for easy access. Come make our unit your own little slice of paradise while you experience Maui!